Easy way to smart backup! without a need of a full restoration! simple interface for all tasks! back up as you want to! A quick and simple backup solution for files, folders, emails backup from a home PC to local drives, FTPs and clouds: OneDrive, Google Drive, Dropbox etc. A pro-level PC backup solution supports ODBC-driven databases, virtual machines, websites, SFTP protocols, clouds, as well as drive and partition images. A complete solution for one server or workstation, supports auto backup for any data types, including MySQL, MS SQL, MariaDB, PostgreSQL, Oracle and others. With an endless quantity of Network Agents controlled by a central console, this edition expands all functions of Small Server edition to all computers on a local network. I have tested several network backup solutions. Some are a lot more sophisticated and expensive but cannot handle the three things I needed: workstation backup, LAN asset backup and Website backup (FTP) for multiple environments and tasks. Good work. 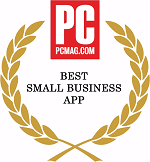 Appreciated by one of top-rated world magazines in an IT sphere, Handy Backup proudly bears an award from PCMag! 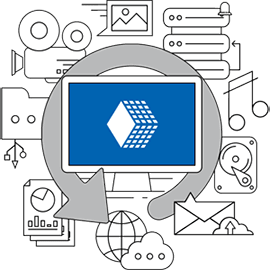 Software designed to seamlessly backup applications that are mission-critical to many SMBs. 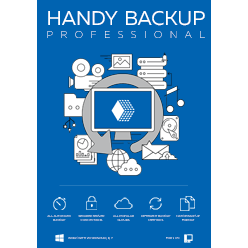 Handy Backup™ is a line of Windows backup software which is compatible with Windows 10/8/7/Vista and 2016/2012/2008 Server. Extendable with plug-ins for backing up popular apps and offering multiple storage options (backup to external hard drives, USB, FTP, Amazon S3, backup to Google Drive etc. ), the utilities of the family are commonly recognized as the most powerful yet cost-efficient solutions for home and business. If you are searching for a fast and easy server backup software that you can set once and rely on its service for a long time, then Handy Backup is right for you!